A little while ago, a MAN contacted me to work on some invitations. Yes, a man! Yes, I have spoken to men before! I am married to one. So what? Well, I have had a few orders from men (although women seem to do most of the paper/cards buying), but never for wedding invitations. 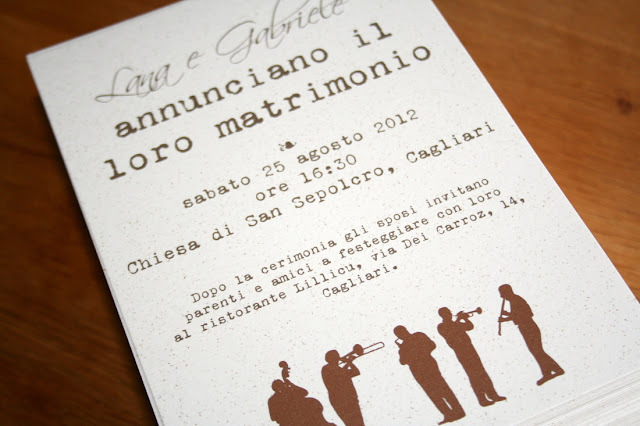 He was a groom-to-be and was the one in charge of the invitations. Maybe his occupation meant he had been put in charge of that aspect of the wedding as the one with the eye for design (he is an architect). Was there any difference with working with a woman you may ask? Not really, except maybe that he was very precise in what he wanted and had very specific requests (also partly due to their very very tight deadline). As is often the case, he contacted me liking one example in my shop, but we ended up with a final design somewhat different to the original one. 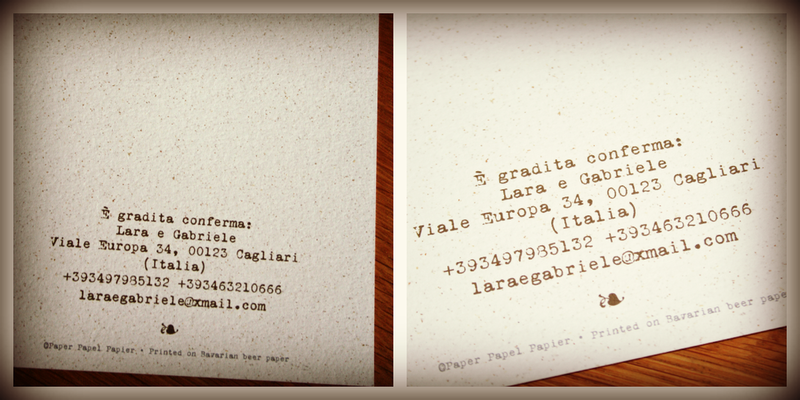 This was also the first time I was producing a wedding invitation on the amazing beer paper. I love working with it and I think the brown colour looks great on it and enhances the texture of the paper.